On our short visit we caught trout with lures and bait. This rainbow fell for a copper colored Kastmaster spoon. Last Sunday morning I hiked into the Thousand Lakes Wilderness, which is located off Highway 89 in the Lassen National Forest roughly between Old Station and Burney. Along for the adventure was my buddy Terry Catechi who claims to live somewhere between Shingletown and Viola. Terry met me at the Tamarack Trailhead at 7:30 in the morning, and we headed from there to Lake Eiler, which, at 29 acres, is the largest lake in the wilderness. Following the trail, which climbs gently over most of its route, we arrived at the lake roughly an hour and a half later. The hike was something we talked about for a decade or more. When the opportunity finally came around we both agreed that it was about time to take advantage of it. 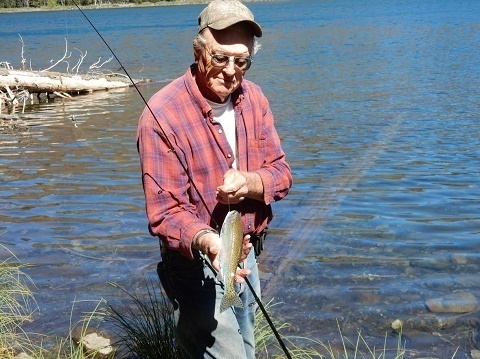 Our main focus was the fishing that Eiler provides. I’ve been going there at least a few times every year since 1975, and the fishing is what always draws me back for more. Sometimes the fishing is hot and sometimes it’s not, but just being in the mountains, if only for a short time, is always worth the effort. 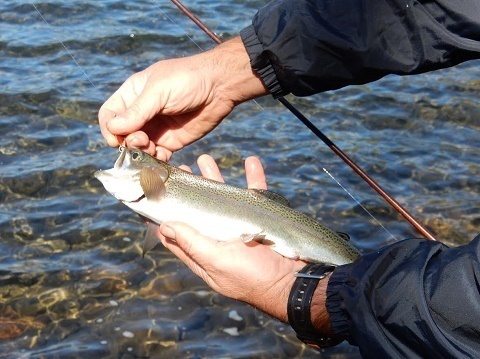 On our visit last week the catching was not as good as the fishing, but we each landed a few colorful rainbow trout that certainly lived up to their name. We sat down to have lunch before hiking out and we both agreed that just being there was well worth the hike. I think that we’ll make that happen. 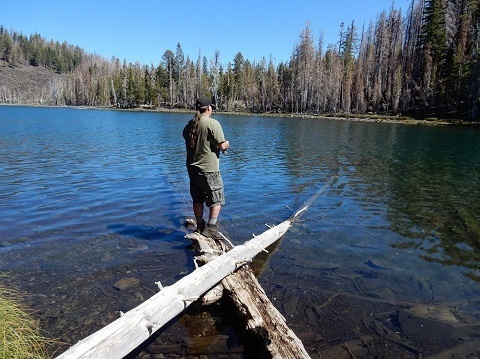 My favorite time to fish back country lakes is in the fall after Labor Day weekend, when most folks have more important things to do. 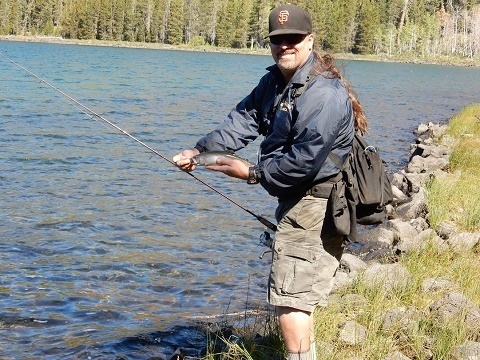 Hiking in cool weather is far easier than hiking in oven-like conditions, and as an added bonus, the trout in the small lakes get more active as the temperature of the surface water drops thanks, in part, to brisk nights. For Terry and me the fishing was basic. He used spinning tackle with lures while I rigged up with Berkley Power Bait. As it turned out the small copper colored Kastmasters that Terry tossed worked as well as my bait, and while we didn’t knock them dead, we did have some fun. We could have fished flies with spinning rods by putting them on leaders behind clear plastic bubbles that could be partially filled with water to gain casting distance. However, we only had a couple hours at the lake so we didn’t bother. 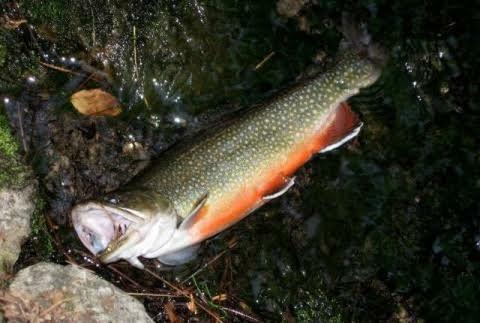 Now is the time to get after fall trout. Between now and the arrival of weather events that are better seen through the window than endured out of doors a day hike for trout, wilderness or not, is highly recommended. At least that’s my opinion, and I’m sticking to it. Author and writer John Higley is a resident of Palo Cedro. 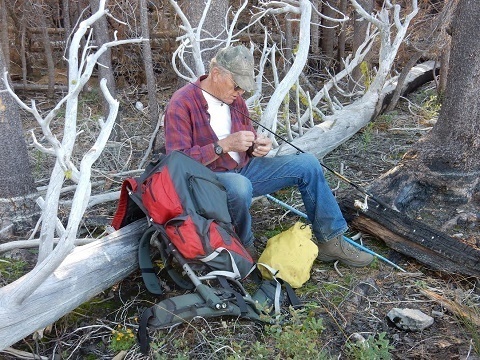 His articles have appeared in outdoor magazines hundreds of times and his columns appear regularly at myoutdoorbuddy.com. Higley has written four books the latest of which “Successful Turkey Hunting” was published in May, 2014 by Skyhorse Publishing in New York. This hard cover, full color book is being sold at Barnes and Noble Book Stores and on Amazon. Autographed copies are available direct from John Higley, P.O. Box 120, Palo Cedro, CA 96073. Cost is $28.95 postage paid.